For qualified investors seeking further information about the Australian Amalthea Fund please contact Bronte directly. 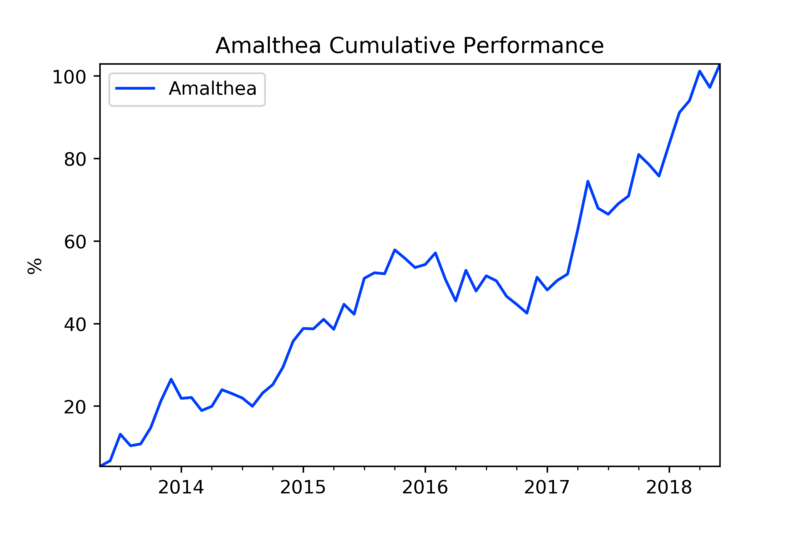 Amalthea fund performance since inception on 1 May 2013, inclusive of reinvestment of distributions. Material on this website does not take into account the investment objectives, financial situation or particular needs of any particular person. Investors should obtain individual financial advice based on their own particular circumstances before making an investment decision. Any person considering investment in the Bronte Capital Amalthea Fund (BCAF) should first review the Product Disclosure Statement (PDS) for the Fund available on request. Initial Applications for units in the BCAF can only be made pursuant to the application form in the PDS. Bronte does not guarantee repayment of capital or any particular rate of return from the BCAF. Past performance is no guarantee of future performance. Investment returns have been calculated in accordance with normal industry practice utilising movements in unit price and assuming reinvestment of all distribution of income and realised profits. Statements of fact in this report have been obtained from and are based upon sources that Bronte believes to be reliable, but Bronte does not guarantee their accuracy, and any such information may be incomplete or condensed. All opinions and estimates included in this report constitute Bronte's judgement as at the date of this communication and are subject to change without notice.